A Globally Recognised Professional Qualification which is guaranteed to open the doors of opportunity in the ever evolving Global Aviation Industry. The Diploma program is quality assured byPearson UK and the Diploma certificate will be issued by Pearson UK. 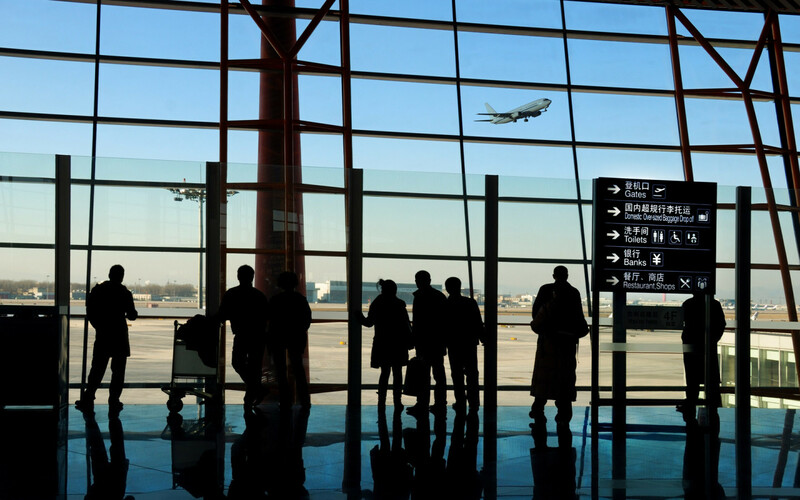 This exciting new programme has been developed in accordance with the demands and challenges faced in the ever evolving, dynamic environment of the modern global Aviation industry. The course aims to reflect the changes inherent in the aviation industry and prepare students with the requisite skills and knowledge required to take on responsible roles in the field of aviation. The programme curriculum while being very comprehensive and covering diverse segments of the industry, is futuristic in its composition and will be fully responsive to the changes occurring in the aviation industry. It retains the provision to change curricular aspects of the programme as it progresses. The diverse nature of the programme includes field trips, external training and interactive sessions, while knowledge testing will take place via written and presentation assessments. The course also builds in several hours of flying - A Global First ! - A feature not found in any Internationally recognised Diploma - to give the candidate the true and exhilarating feel of aviation, as well as an opportunity to progress into professional private and commercial flying if he or she wishes to later on. For Whom ? Am I eligible ? The course is not only aimed at school leavers post O/L or A/L who wish to acquire the knowledge and skills and thereby, build an employability profile to avail themselves of an opportunity to gain employment in the aviation sector. It is equally geared towards those already employed in the aviation sector and who wish to acquire further knowledge, enhance their skills and understanding of the dynamic environment of the aviation industry, the changes and emerging trends within the industry and to equip themselves with a qualification that will enable them seek opportunities in career advancement. This award is highly recommended for those aspiring to follow an exciting programme of study which has been developed by a team of industry professionals after extensive research into the evolving needs of the aviation industry. Students graduating from this programme will be highly sought after in the aviation industry. Those aspiring to follow the course are expected to have a genuine interest in developing both their theoretical and practical knowledge of the aviation industry and the skills necessary to work in it. The student needs to be prepared to take on responsibility for their learning and be willing to work both individually as well as in a team and to participate fully in course activities in order to gain the full benefit of learning. This is your first step to a career as a professional pilot ! If you are 17 years of age you qualify to obtain a Private Pilot License. As a private pilot you can fly aircraft which you are type-rated for. The privileges of this licence allows you to fly friends &family,with you as the pilot-in-command. The course could be followed either on a full-time or part-time basis. Skyline also conducts an exclusive PPL program for business executives and those employed in other full-time activities. Your Private Pilot License forms the foundation for advanced commercial and professional licenses. Solo-flight: Once the instructor is confident that you are familiar with the aircraft and can handle it independently, you will be prepared for your solo flight. This usually consists of a few take-offs and landings in the airport traffic pattern. Aerial Manoeuvres: After your initial solo flight, you will be allowed to practice aerial maneuvers on your own within close proximity to the airport where you would be training at. Cross-country navigation: After your first few solo flights, training moves onto cross-country navigation. You learn various elements of flight planning and navigation by reference to checkpoints on the ground. 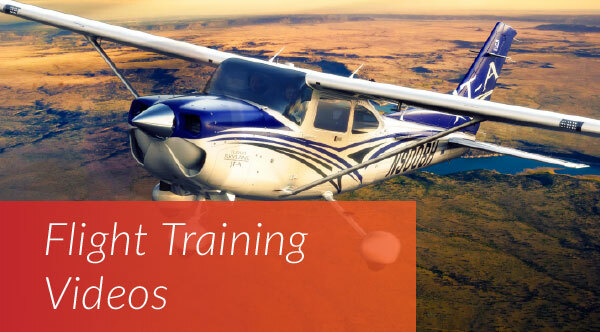 You and your instructor will go on several cross-country flights to help hone these skills. Solo cross-country flight: When you are confident of operating the aircraft by yourself without assistance from the instructor, you will be certified by the academy for solo cross-country flight. You then have a few solo cross-country flights to build time as well as confidence in your abilities. Emergency procedures: As part of the training, you will also learn emergency procedures like engine failures, loss of radio communications, and inadvertent flight into poor weather or clouds. Night-flight rating: If a night flight rating is required by the student, this would involve additional flying hours with some takeoffs, landings, and cross-country flying at dusk and a few hours flying by sole reference to your instruments. CAASL written exams: In addition to your flight training, you will receive many hours of ground school lectures by the academy to prepare you for the CAASL written exams. Time tables of lectures and flight training will be communicated to cadet pilots on a weekly basis. Aircraft systems: The basic components of an airplane, engine, flight controls, instruments, and how they operate. Aerodynamics: Basic principles of how an airplane is able to leave the ground, and how to control it once airborne. Meteorology: Basic concepts of weather formation and how to obtain and interpret weather information that may affect your flight. Radio Telephony: The know-how of communicating with various control centers such as communication towers, radar centers, right from start-up through to controlled air space, as well as emergency calls such as PAN calls, MAY-DAY calls, and the cancellation of such calls etc. Further, simulation of these procedures is also provided. Aircraft operations: Just as there are rules for operating automobiles on roads and highways, there are rules governing the operation of an aircraft in the National Airspace System (NAS). 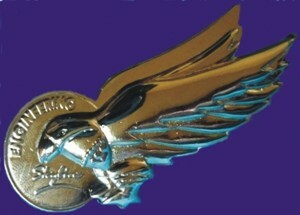 Our silver wings are awarded to the student pilot upon successful completion of his/her first solo flight for the PPL. The Commercial Pilot License with Instrument Rating (CPL/IR) will enable you to pursue a career in commercial aviation. Since most CPL/IR students have 40 hours on completion of their PPL, these hours can be credited towards the total CPL/IR hour requirement. Our gold wings are awarded to the Private Pilot at the commencement of his/her CPL / IR. The ATPL (Frozen) is designed specifically and conducted for those who seek to pursue command of the high – flying jets. The course is geared towards the standards and completion of the JAA (Joint Aviation Authority) based examinations which are conducted by the Civil Aviation Authority of Sri Lanka (CAASL). Our ATPL (A) Frozen course is integrated with the CPL/IR flight training, so that students obtain the ATPL (A) Frozen as well as their CPL/IR upon completion of the ATPL (A) Frozen examinations and the CPL/IR flight test. The MCC / Jet Conversion course completes your professional pilot training by preparing you for the flight deck of a modern jet aircraft. Training is conducted on the Airbus A320 or the Boeing 737 NG simulator, in either Sri Lanka, Dubai or Singapore. This course is of immense value to CPL/IR holders who need to understand the concepts of functioning in a multi-crew cockpit and learn the basics of Flight Deck management related to task sharing in normal and abnormal situations. The combination of MCC and Jet Conversion will prepare you to take your place on the flight deck of a modern jet aircraft as a Junior First Officer. The Flight Instructor course is for those CPL/IR holders who would like to take up to flight instructing and who would also like to enhance their professional portfolio. This course, having been patronised by professionals in the International Aviation Industry, sends out a distinct message to the budding professional - to take up to advanced training programs such as the flight instructor course to enhance their professional worth. The FI rating adds to one's marketability and provides a definite advantage when it comes to selection of pilots by airlines. The ‘Bird Flyer’ program - a first by Skyline - is a golden opportunity for aviation enthusiasts to experience the exhilarating feel of flight, while at the same time, enjoy the breathtaking view of the beauty of Sri Lanka. This is our initiative to afford every enthusiast the opportunity to experience flight and encourage private flying. 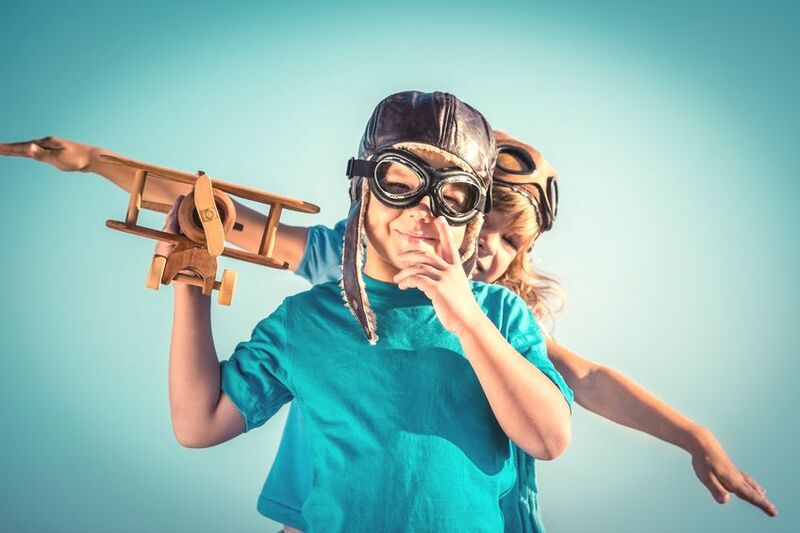 This exciting program is the singular route to becoming a professional Aeronautical Engineer. 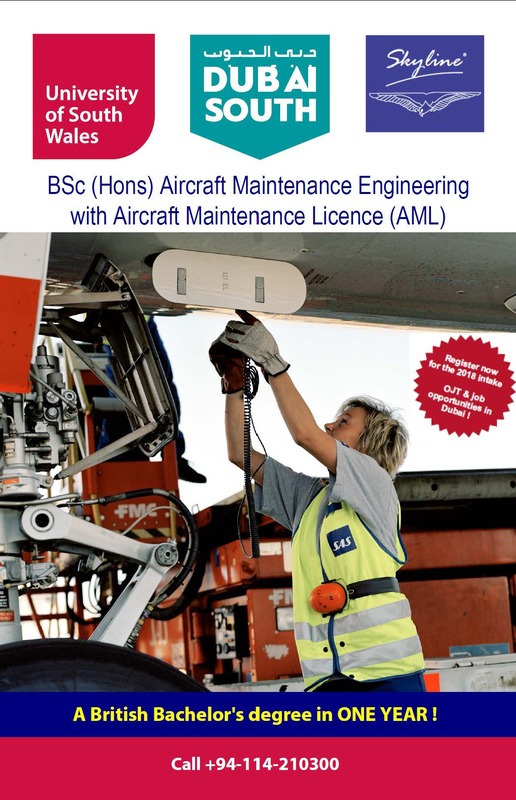 The title 'Licensed Aircraft Maintenance Engineer' comes with an Aircraft Maintenance License (AML) which is a MUST for the aspiring Aeronautical Engineer. The internationally accepted & recognised AML is the most powerful tool and a guaranteed pathway to a successful career as a hands-on Aeronautical Engineer. Based on the EASA part 66 syllabus, the licence is issued by the Civil Aviation Authority of Sri Lanka (CAASL), a globally recognised body under the ICAO. For those who wish to also obtain an internationally recognised degree in addition to the Aircraft Maintenance Licence, Skyline Aviation offers the BSc (Hons) Aircraft Maitenance Engineering, in collaboration with the University of South Wales. Building on your existing knowledge of the aircraft maintenance sector, this top-up course combines academic and practical study allowing you to gain a full British Bachelor’s qualification in one year. This top-up course is ideal for individuals who may have already followed the Aircraft Maintenance Licence (AML) course or have an EASA Part-66 certification, relevant HND, or equivalent qualification. Gas Turbine (Jet) engine technicians & engineers are responsible for inspecting & repairing engines in accordance with precision aviation standards & regulations. It is an extremely challenging & rewarding occupation requiring a high degree of responsibility & skill. Qualified technicians have many opportunities in the aviation industry, be it advanced training or continued career advancement. This program was developed by Skyline to meet with the industry’s need for technicians with Gas Turbine knowledge. Successful completion of this program will serve as a great foundation to a lucrative career in the industry. 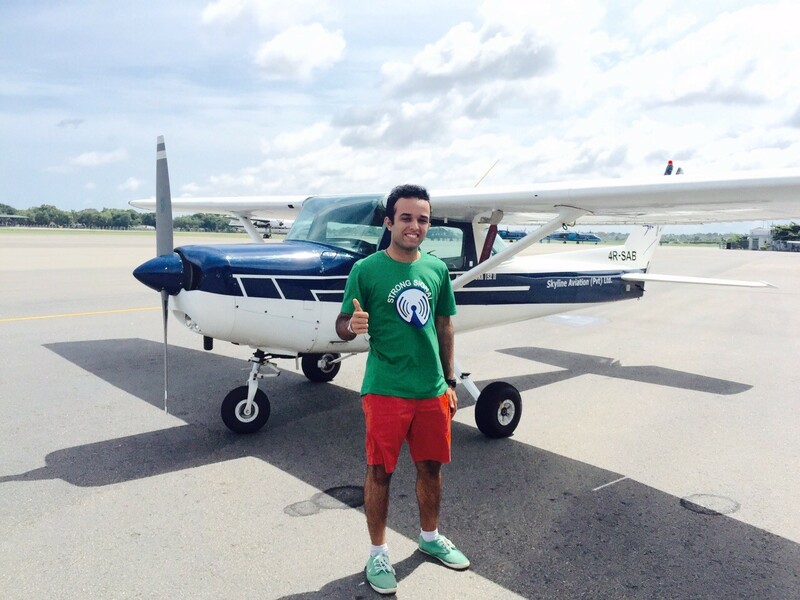 This is an introductory course for aviation enthusiasts as well as young budding pilots. It can be followed by children from the age of 10 years and upwards as well aviation enthusiasts of any age. The course is conducted in 3 stages. Each stage of the course is designed and presented by professional aviators. This course is conducted by the academy three times a year, during the school vacation periods in April, August and December. You can contact our head office in Ratmalana for more details.